The Caucus’ new motto is “Leading the Evolution” and that’s what they have been doing for over 40 years. Each year The Caucus honors outstanding creative television and new media talent at their Annual Awards Dinner. Awards are presented to outstanding individuals and three winners of the Caucus Honors from the list of nominees. The Caucus Foundation’s student Gold Circle Award is presented to two grant recipients for their 2015/16 student films. In promoting the upcoming generation of television and new media content creators, The Caucus Foundation will also present the Television and New Media Award to a university’s creative team for an exceptional project. A significant portion of the proceeds from the dinner will benefit The Caucus Foundation, which has provided grants and awards of $1.5 million to 154 worthy students to complete their film, television or new media projects. 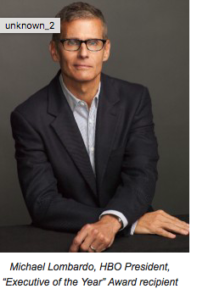 Linking the best of Hollywood’s and Television’s creative content providers (i.e. the top 100 Television producers, writers and program directors of Primetime, Daytime and Children’s programming) with the rest of the web world! 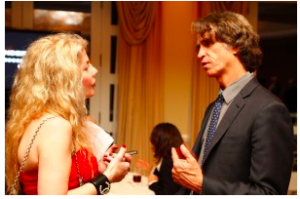 For the past 42 years in Network Television (and now in Cable and Satellite Television as well), The Caucus has provided a forum for the best and the brightest creative talent in Hollywood to network together as the ‘creative conscience’ of the Television industry. The Caucus, as the leaders of the creative Television community, has always stood for better and more meaningful television. That means Television Programs produced, written and directed in a working environment that supports the best product that we can create for our audience. 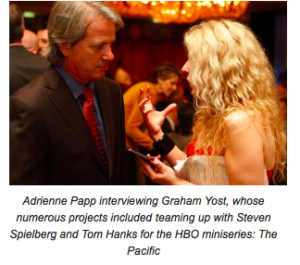 Frank PriceRoy Price, Vice President and Head of Amazon Studios and Lee Miller. 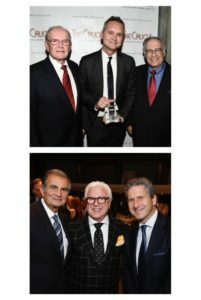 (Top Middle (L-R)) Michael T. Fries, Vice Chairman, President & CEO Liberty Global & Jon Feltheimer, CEO, Lions Gate Entertainment). (Top Left (L-R)) ): Actor James Pickens, Jr., starring role as Dr. Richard Webber on ABC’s Grey’s Anatony and the Co-Host of NBC’s Extra & Host of FOX’s NFL Kick Off Show Charissa Thompson were the Co-Hosts. The Caucus Co-chair Robert Papazian, The Caucus Co-Producer/Vice Chair Vin Di Bona and Michael T. Fries, Vice Chairman, President& CEO Liberty Global. 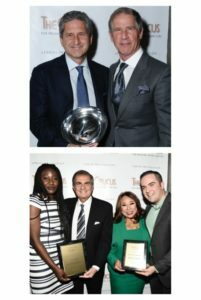 (Bottom Middle (L-R)) 1st and 2nd Place Winners Caucus Foundation Gold Circle Award along with $60, 000 Grant Recipients Ellie Foumbi for “Nocturne in Black” (Columbia University), Caucus Co-Chairs Robert Papazian & Tanya Hart, and Julio Vincent Gambuto for “The Julie Stories” (USC). 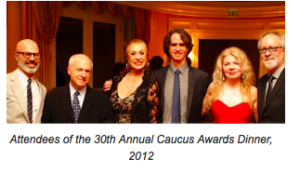 (Bottom Left (L-R)) Co-Chairs Tanya Hart and Robert Papazian with Producer Stephanie Allain; Homegrown Pictures who received The Caucus Chair’s Award. 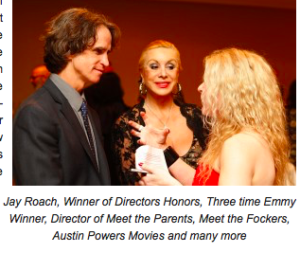 Los Angeles, CA — The Caucus for Producers, Writers & Directors’ 34th Caucus Awards was a fun, festive ceremony and dinner, held recently at the Skirball Cultural Center. Many industry heavy-hitters were in the room and diversity was exemplified throughout the night. Co-chairs Robert Papazian and Tanya Hart, along with Awards Dinner Chair/Executive Producer Chuck Fries, and Co-Producers/Vice Chairs Lee Miller and Vin Di Bona were proud to honor Michael T. Fries, Vice Chairman/President, CEO of Liberty Global with the Executive of the Year Award and Roy Price, Vice Presidentand Head of Amazon Studios with the New Visions Award. 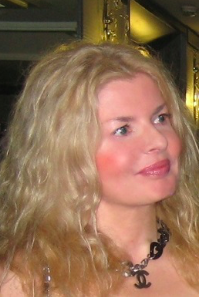 The Chair’s Award was presented to Producer Stephanie Allain, Homegrown Pictures. Executive Producer/Director/Educator Kevin Bright received TheCaucus Lifetime Achievement Award and Professor & Founder Fun Little Movies Frank Chindamo was presented with The Caucus Distinguished Service Award. “As co-chairs of the Caucus we were, thrilled with the high quality all award honorees for this year’s Caucus Awards Dinner. They all exemplify excellence in the business of entertainment despite the constantly changing media landscape. We are so grateful to have these wonderful individuals to be a part of the Caucus for at least one night”. Says The Caucus co-chairs, Robert Papazian and Tanya Hart. Current members of The Caucus also include Tom Hanks, JJ Abrams, Chuck Fries, James Burrows, Bob Papazian, Vin Di Bona, Suzanne de Passe, Charles Floyd Johnson, Dennis Doty, Norman Powell, Lee Millerand other leading producers, writers and directors.